We don't particularly have anything against the Mercury Music Prize but we thought we'd like to offer our own alternative Mercury 2011 winner. 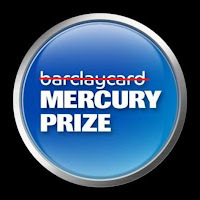 With the actual winner PJ Harvey also in our shortlist, we could well have ended up with the same result. Instead, it came down to the third albums from The Horrors and Wild Beasts. Three is a magic number? Simon wrote a nice analysis of PJ Harvey's Mercury victory but we won't be having any such analysis here really. I simply asked the other writers which were there favourite albums from the shortlist. And we also had a few special mentions from a variety of genres - Bring Me To The Horizon, Mount Kimbie, Yuck, James Blake and Robert Plant to name but a few. So congratulations to the band for this minor accolade. But congratulations to all the bands that made our shortlist - you've each made albums that at least one of us really enjoyed - a triumph in itself. In particular, Talons, Devil Sold His Soul and Arctic Monkeys, who each featured highly in our individual choices. But there can be only one and Wild Beasts won over many of the FG writers, with their "eerily therapeutic and haunting album full of love, lust and longing." Finally, thanks to Emily, Kieran, Simon, Jack and Rajan for being "panellists". 'Smother' is available to purchase at Amazon.co.uk, iTunes etc.